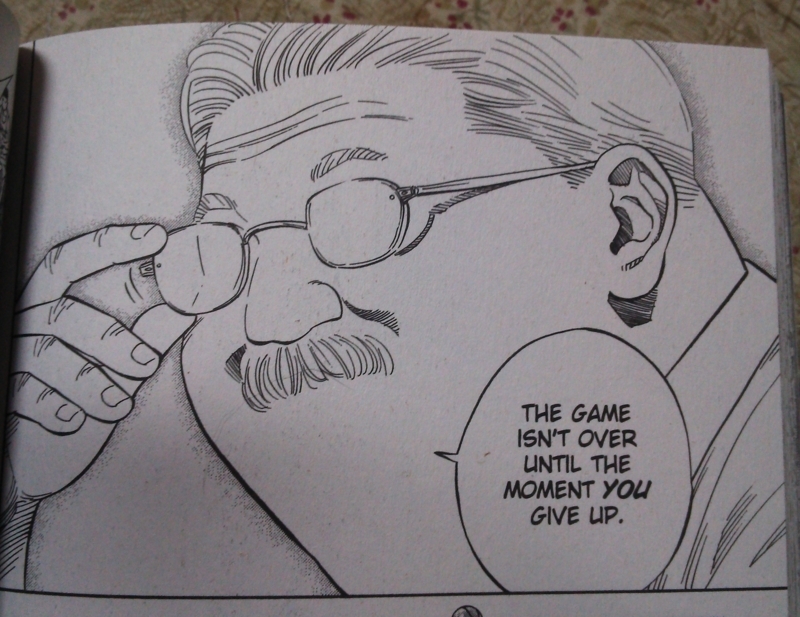 "When you give up, that's when the game is over." 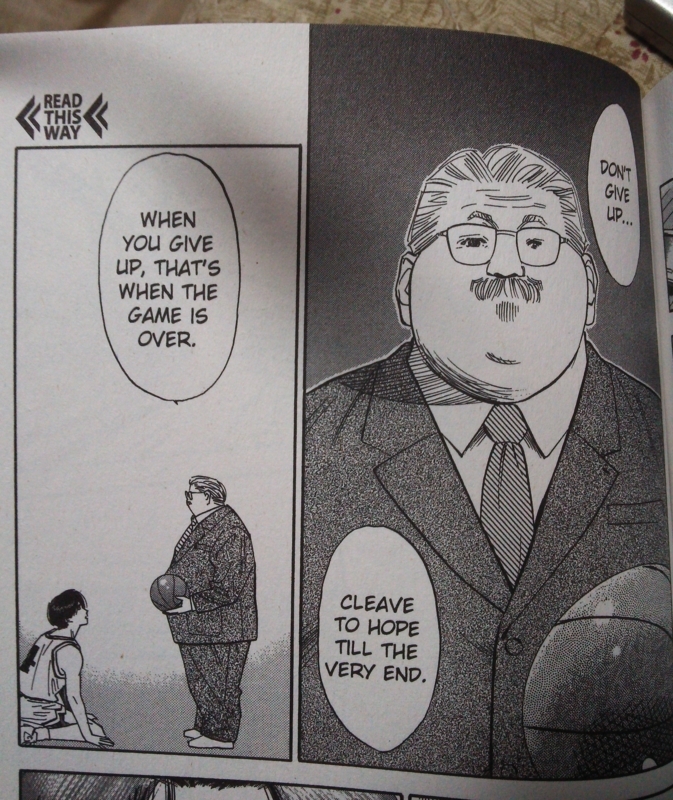 8巻では"When you give up, that's when the game is over." 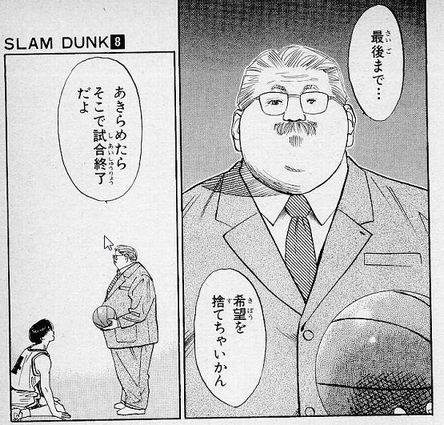 最後の時は"The game isn't over until the moment you give up."